Nestled in the beautiful Cowichan Valley, you'll find this picturesque 50 acre Estate Winery. The amazing micro climate allows us to grow 7 different varietals, ranging from fruity whites, to full bodied reds that are unique to Vancouver Island. Enrico wines are winning medals across Canada and the United States including the first prestigious Lieutenant Governor’s Award for Excellence in B.C. Wines awarded on Vancouver Island. Created in 1948 by Hans Brider by crossing Muller-Thurgau (Germany’s second most planted grape) and Siegerebe. It is named in honour of Spanish Poet and philosopher José Ortega y Gasset. Ortega is a cold-hardy grape grown in Germany and Canada. It has similar properties to Riesling. It ripens early and is not sensitive to frost. It is often used for sweet wines which improve over time with cellaring. The wine results in a light-body, sweet with a soft floral bouquet and hints of peach or freestone fruit. This old world grape has been known since the Middle Ages and is grown in the Burgundy region of France. It is the most popular grape grown in BC and well suited to our micro climate of the Cowichan Valley. It is believed to be a colour mutation clone of Pinot Noir grapes and the name ‘pinot’ comes from the word to describe pine-cones, which reflect how the clusters grow. 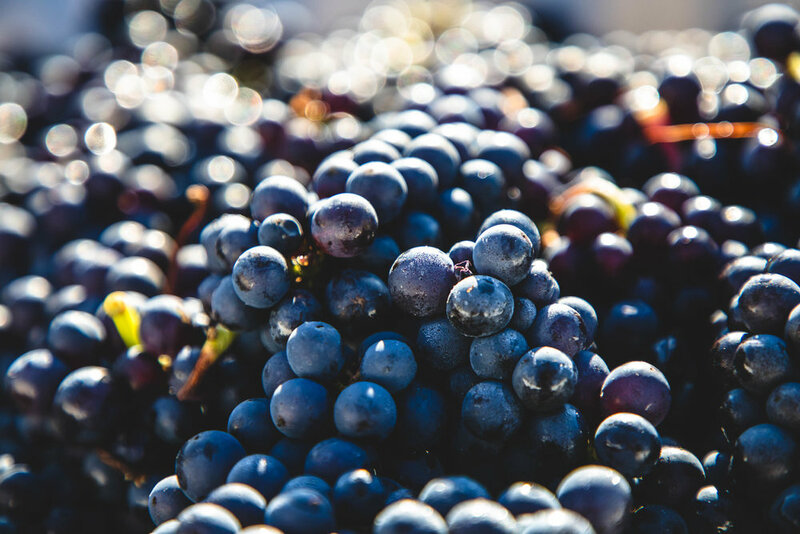 The diversity of this grape allows it to be made spicy, light-bodied, low-acidity, with higher alcohol levels and flavours of tropical fruit, citrus or zest. Our wines often come with a subtle flavour of crisp apple and pair well with seafoods, cream sauces, salmon and other white meats. The apple flavour is also a great compliment for a sampling of sharp hard cheeses. Uniquely Canadian is this hardy variety that ripens early. It is well suited to the climate of Vancouver Island (and Nova Scotia). A lovely aromatic character of wild roses and citrus, clean, refreshing which pairs well with seafood, tapas, cheeses, rich chocolate desserts or as a refreshing mid-day beverage. Green-skinned and believed to have originated from the Burgundy wine region of eastern France. It is a relatively “low-maintenance” vine that adapts well to a variety of climates and thrives and yields great crops in Cowichan Valley. Chardonnay has an impressive range of flavours from the expected buttery oak notes to fresh fruit flavours of apple, pear, tropical, citrus and vanilla. Pairs nicely with fish dishes, grilled chicken salads, or a hearty winter soup. An ancient dark red wine grape whose name best describes it as pine-cone clusters of black grapes. It thrives in cooler climates and one of the key ingredients used in sparkling wine production in the Champagne region. It is therefore considered to produce some of the finest wines in the world but takes the careful artistry of our winemaker to temper and craft into our wines that we produce. It is known for aromas and flavours of cheery, strawberry, raspberry and ripe tomatoes. It produces a weight texture on the tongue, but rich, velvety and soft/smooth tannins. Cabernet Libre produces rich ruby colours with an aroma of plum, raspberry and spices. It produces medium tannins, with cherry notes, cedar, earthy and fresh tobacco. This wine pairs well with curried meats, pates, strong cheeses and red sauce pasta. A cross of Cabernet Sauvignon and Marechal Foch producing wines that exhibits notes similar to Cabernet Savignon with a rich finish and astringent. It has pepper notes, black current, and black cherry on the tongue.